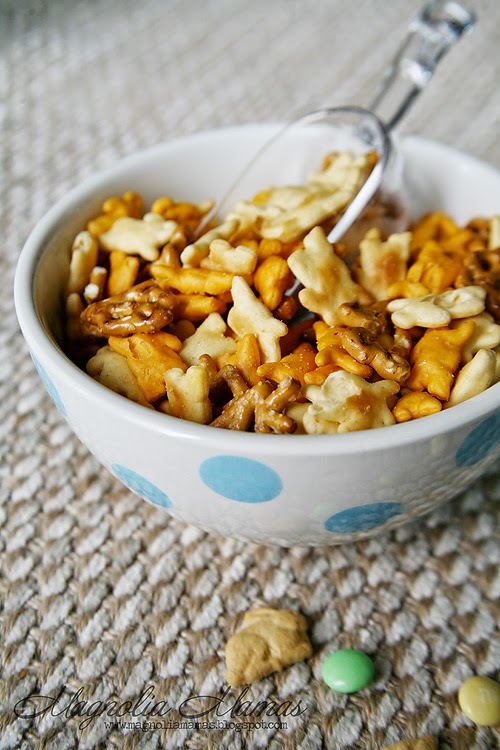 This is the easiest snack mix/gift ever! Before our school released for Spring Break, I was in full on Easter party mode. 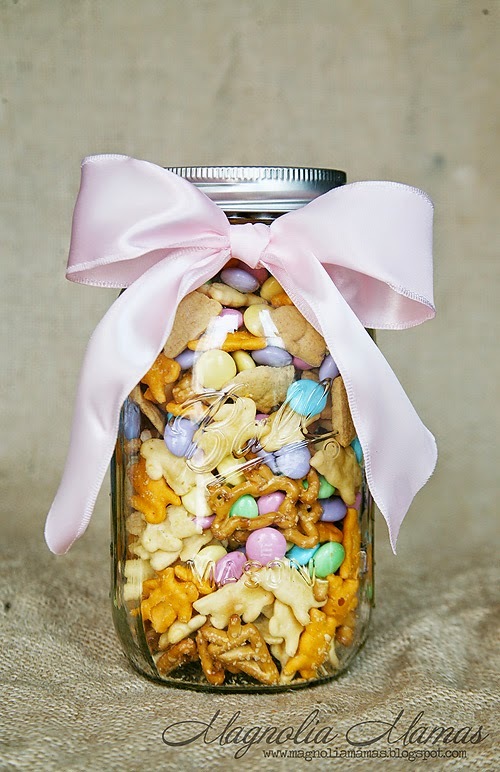 I got it in my head that I wanted to give the teachers and Cute's classmates a fun snack mix as one of their treats to take home. 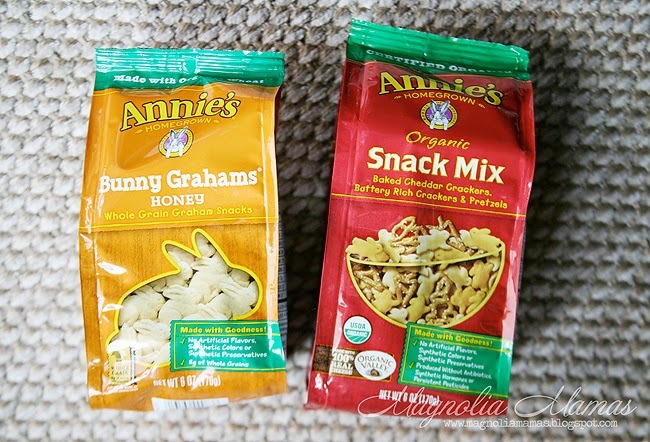 I scoured Pinterest for the perfect salty/sweet combination with the thought to include Annie's crackers because they are shaped like bunnies, and we know I love a good theme. Annie's did it for me! I went to grab the bunny crackers and saw that there was already a pre-made snack mix complete with bunny shaped everything. How could I pass up that opportunity? I put down my Pinterest ingredient shopping list and happily grabbed a could of those bags. I threw in some of the bunny shaped grahams for good measure. They are shaped like bunnies too! Trail mix is always best with a little sweet treat added in, so I also grabbed a pastel colored bag of M &M's to include in the mix. Now if you are keeping track of ingredients so far we have pre-made Annie's Snack Mix, Annie's Bunny Grahams, and M & M's. I told you this was easy! All I had to do was mix the three all together. Prep time is approximately two minutes...you know, an extra minute included for appropriate quality control taste testing. Once mixed, I did what any southern girl knows best to do with a gift. I put the mix in a mason jar. If that's not perfection, I don't know what is. for the scalloped sticker Avery Label. Now I thought I would share the original inspiration for my snack mix project in case you want to make your own. All sound delicious and I might try one or two for a snack to put out when we host Easter dinner on Sunday. The inspiration came from our Easter board we share with our Savvy Sassy Scout team. 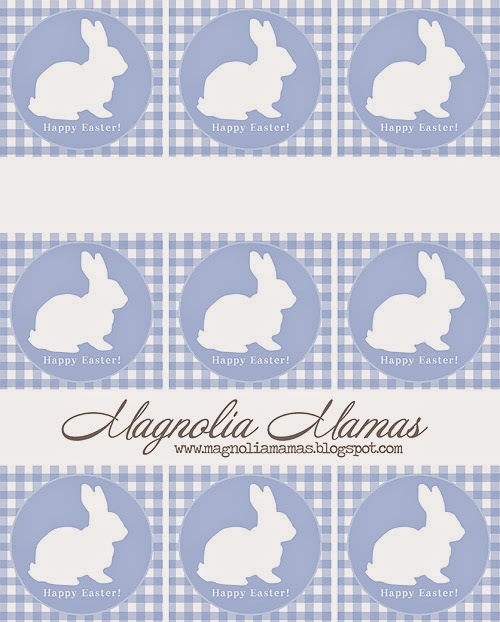 If you need any last minute ideas for anything related to Easter, it is the perfect place to go! 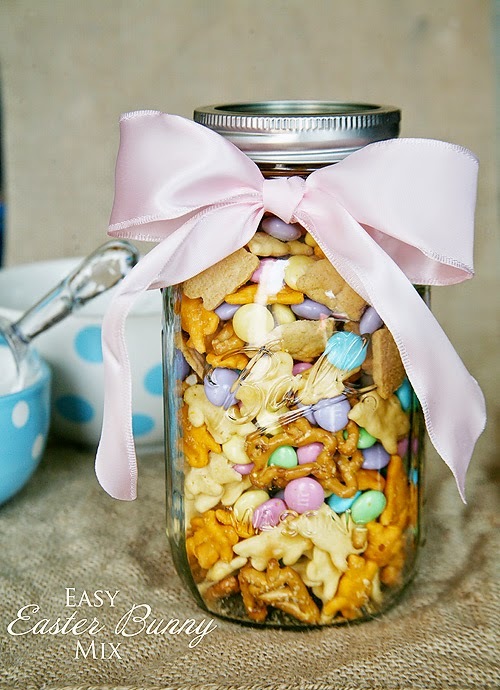 Snack Mix 1 - From the Creativity Exchange, this looks like a fun salty sweet combo, and I loved they used candy corn. 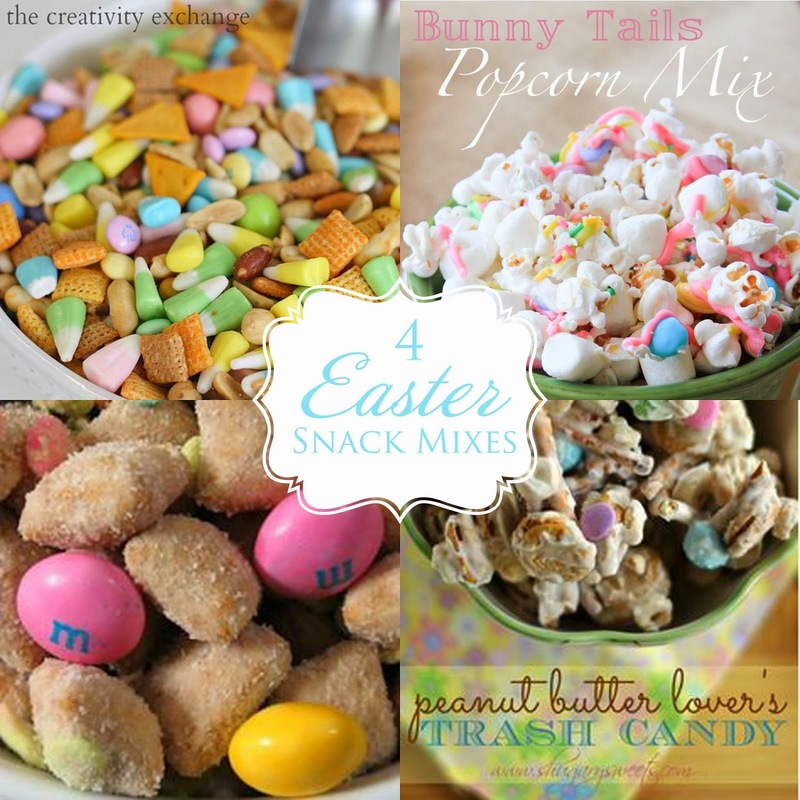 Snack Mix 2 - This Bunny Tails Mix from Framed Frosting looks absolutely scrumptious. The marshmallow "tails" are just precious, and who doesn't love a marshmallow. 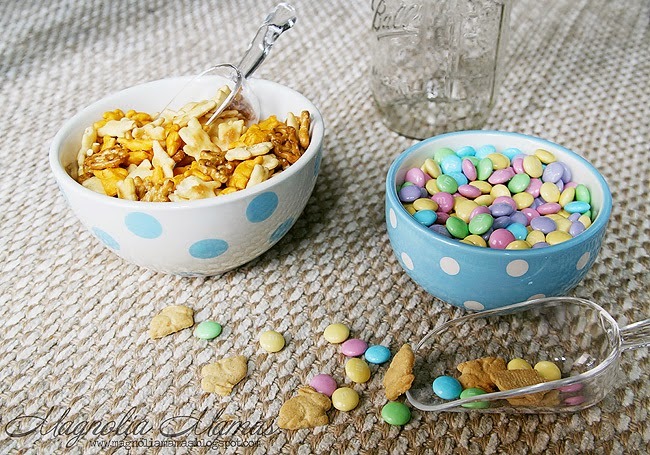 Snack Mix 3 - Easter bunny chow from Peanut Butter & Peppers. Looks yummy and similar to our Dawg Food recipe we love. 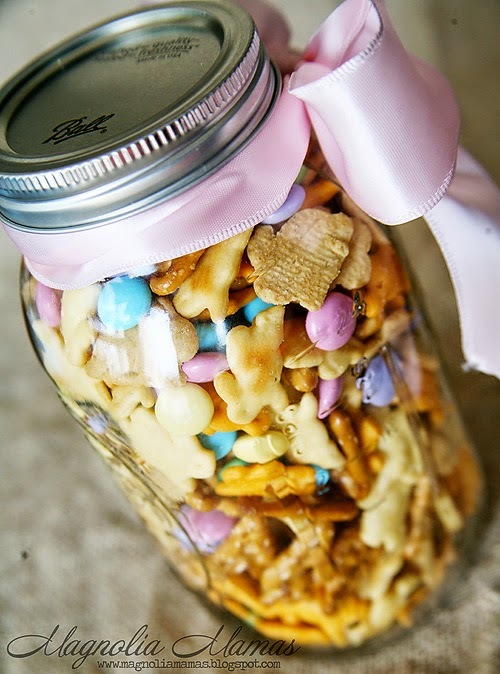 Snack Mix 4 - Peanut Butter Lover's Trash Candy from Sugary Sweets. Need I say more? It looks like heaven in a mix. Hope this gives you a little Easter flavored inspiration today! Do you have a favorite go-to holiday mix? Or special treat you're sharing this Easter? We'd love to hear! I love that!! And you know what, I already have a box of the snack mix on hand leftover from my egg hunt. 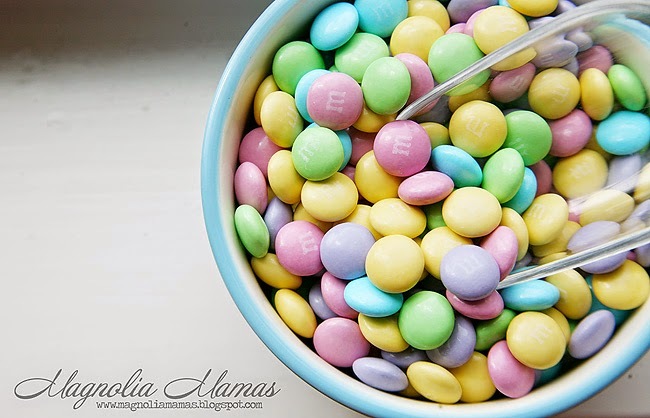 (i was also thrilled when I found it), but I could NOT for the life of me find any Easter/pastel M&M's at the store on Monday! UGH! I was so frustrated b/c I wanted to fix Easter bark for the kids. I may have to look again. Thanks for sharing!